Blue Lark Creations is a labor of love from designer, Ann Larkin-Roy. After life took her from Canada, to the beaches of St. Thomas and St. John, and now to sunny South Florida, she has found inspiration from the beauty around her. She combined her love of fashion, jewelry, and crystal blue waters, to develop Blue Lark Creations. 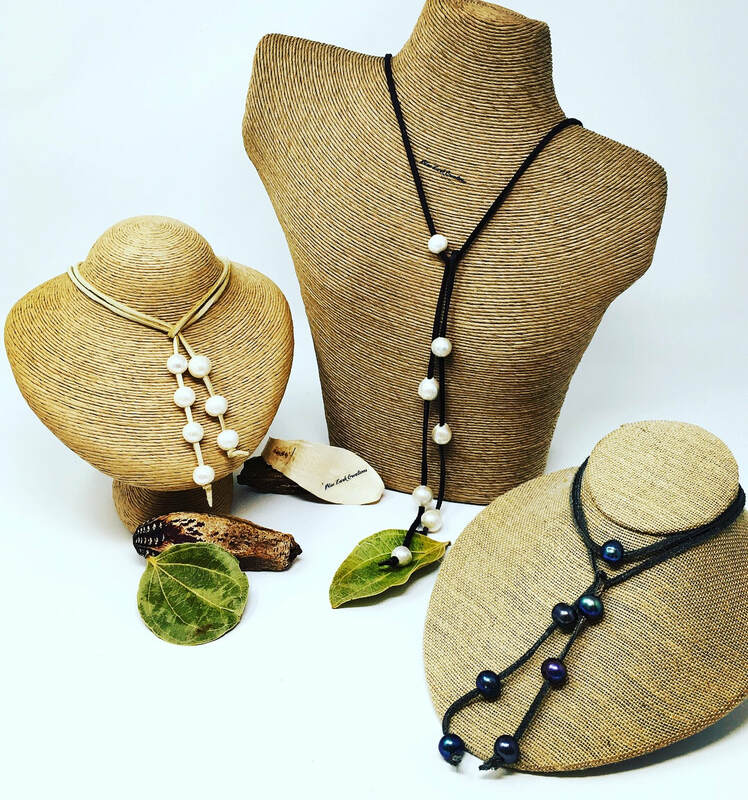 Much of these handmade items are created with a combination of pearls, leather, and best of all, Larimar. Larimar is a unique Caribbean stone that channels the tones of those icy blue waters in a way that will warm your heart all day long. Ann is the designer and creator. There is no middle designer, so you are getting a product that is of the highest quality and can't be found anywhere else. At Blue Lark Creations, working with the finest pearls and gemstones is of the upmost importance to designer and creator, Ann. As a result, since these items are natural, no two items are ever a like! Shop for items that are one-of-a-kind. Don't see what you are looking for, contact Ann and she can work to create the item of your dreams. See something you like on Instagram that isn't on our online store? Ann is always creating new designs that often sell quickly. If you don't see what you are looking for, contact us and she will create something just for you!